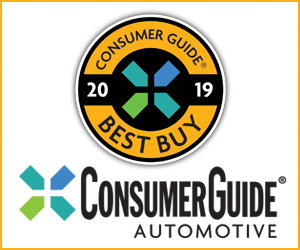 Actually, this was kind of a “two-fer”: Not only is it a new hybrid model, but it’s based on the new-for-2020 Corolla sedan (which itself is based on the redesigned 2019 Corolla Hatchback) that is not due to go on sale until March of next year — which is about the same timeframe Toyota is announcing for this hybrid version. 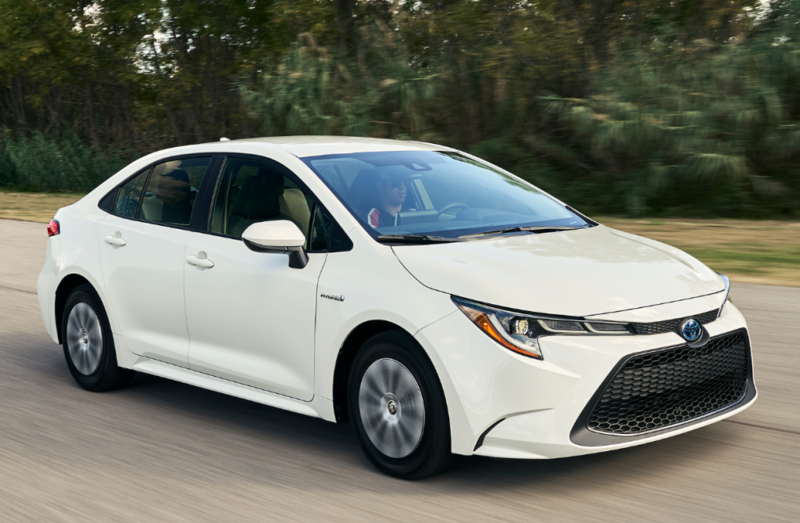 Toyota says the hybrid powertrain for the Corolla is similar to that used in the Prius and consists of a 1.8-liter gas engine paired with two electric motor/generators to produce a combined 121 horsepower. Although EPA fuel-economy estimates have not yet been announced, Toyota is projecting a 50+ mpg combined rating, right up there with the Prius, which earns a 52 mpg combined rating, or 56 combined for the Eco model. A new generation of nickel-metal hydride (Ni-MH) battery allows for a smaller size that fits under the Corolla’s rear seat, and Toyota says passenger and cargo room are not affected. Furthermore, the Corolla Hybrid still has fold-down rear seat backs. Like the Prius, the Corolla Hybrid has an EV mode that allows it to be driven for short distances on electric power alone. It also has an exhaust-heat recirculation system that speeds engine warm-up times, which although aimed at being able to shut off the engine earlier at stops, also should speed interior heating in the winter. Standard on the Corolla Hybrid — and in fact, all Corollas for 2020 — is Toyota’s Safety Sense 2.0 suite of high-tech safety features. It includes forward collision warning and mitigation with pedestrian and daytime cyclist detection, lane-departure warning and mitigation, lane-keep assist, full-speed adaptive cruise control, automatic high beams, and road-sign assist, which can recognize speed limit, stop, yield, and do not enter signs and display a warning icon on the instrument panel. 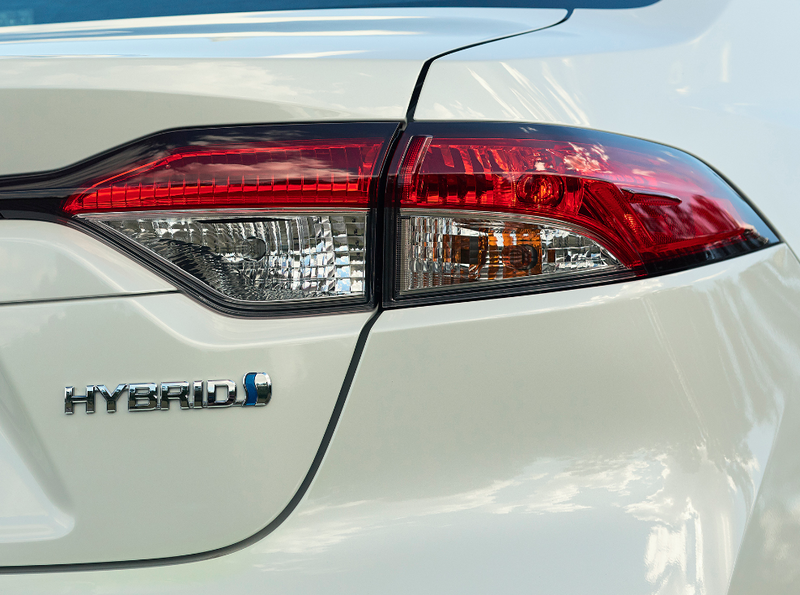 Hybrids have advanced to the point that they add quite a bit for very little cost, and though pricing on the Corolla Hybrid has not yet been announced (or on the “regular” one, for that matter), it’s likely to be a small jump for a lot more mpg. We’re all for that. 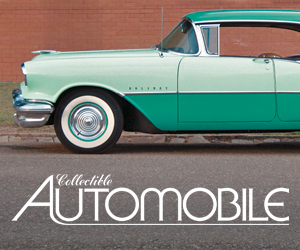 Due to relatively low gas prices, hybrids haven’t been very popular of late, but just wait for the next — and nearly inevitable — oil catastrophe, and ….